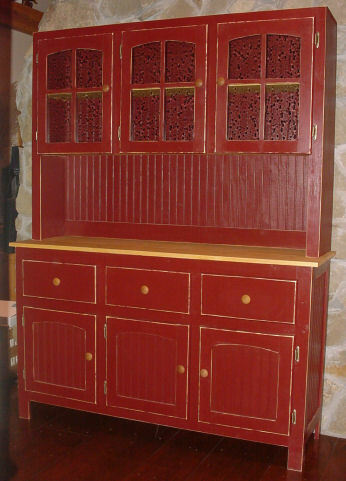 Similar to our original 3 door hutch but with 3 drawers and 3 arched top doors on the top and bottom. This one is about 60 inches wide and 84 inches tall. We can make this just the way you want it.